The former Tánaiste and Labour Party leader, Michael O'Leary, has died while on holiday in France. It is understood Mr O'Leary drowned in a swimming pool yesterday evening, and is to be buried in France. He retired as a District Court Judge on Monday, which was his 70th birthday. Born in Cork in 1936, after an education at Presentation College, UCC and Colombia University in New York, he worked for the ITGWU before being elected to the Dáil in 1965 for Dublin North-Central. In the Fine Gael-Labour National Coalition of 1975-1977, he was Minister for Labour - a key role at a time of considerable industrial unrest as a result of the first oil crisis. 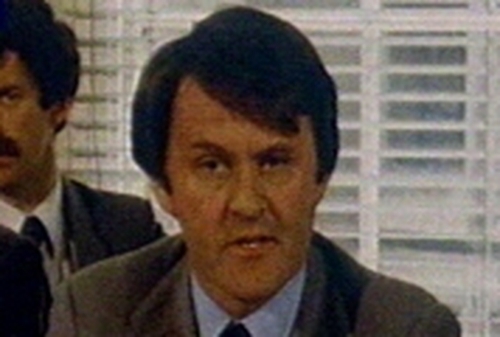 When Brendan Corish stood down as Labour Party leader after the 1977 election, Mr O'Leary narrowly lost the ensuing leadership election to Frank Cluskey, and in 1979 successfully stood for the European Parliament. The 1981 general election saw Frank Cluskey lose his Dáil seat. Mr O'Leary then became leader and Tánaiste in a new Fine Gael-Labour coalition led by Garret FitzGerald. Mr O'Leary was also Minister for Energy, but that coalition proved short-lived, being defeated on Budget proposals. Having lost an attempt to secure a free hand in future coalition negotiations, Mr O'Leary resigned from the leadership and from the Labour Party, joining Fine Gael instead. As a backbencher, he introduced a bill to introduce divorce, pressuring the FitzGerald-Spring coalition to propose its own, unsuccessful, divorce referendum. Mr O’Leary considered joining the Progressive Democrats when it was being formed in 1985, but remained in Fine Gael, although he did not contest the 1987 or 1989 elections. Having returned to his native Cork to practice as a barrister, he was elected to Cork City Council in 1991 - the political comeback was brief, however, and he failed to win a Dáil seat in Cork North Central in 1992. He was later appointed a judge of the District Court by the Rainbow coalition, and in recent years sat mainly on civil cases in Dublin. He was recently married for the second time. The Taoiseach, Bertie Ahern, said he learned with great sadness of the death of Mr O'Leary and said his death was particularly tragic as the former Tánaiste had just retired. Tánaiste Mary Harney said that was he very bright, energetic and progressive. She said that he left his mark, in particular by introducing important measures aimed at generating gender equality in the workplace. Fine Gael leader, Enda Kenny, also expressed his deepest sympathy to the family of Mr O'Leary on behalf of the Fine Gael Party.